This morning I wandered into the garden to choose some flowers for ‘In a Vase on Monday’. 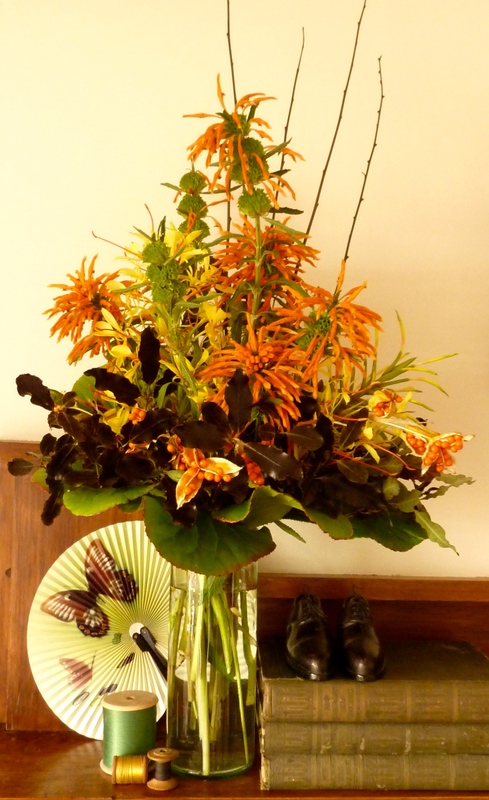 Some of the things I picked for this arrangement are Kahili Ginger Hedychium gardnerianum, Lion’s Tail Leonotis leonurus, Iris foetiidissima seed pods and Bergenia leaves. 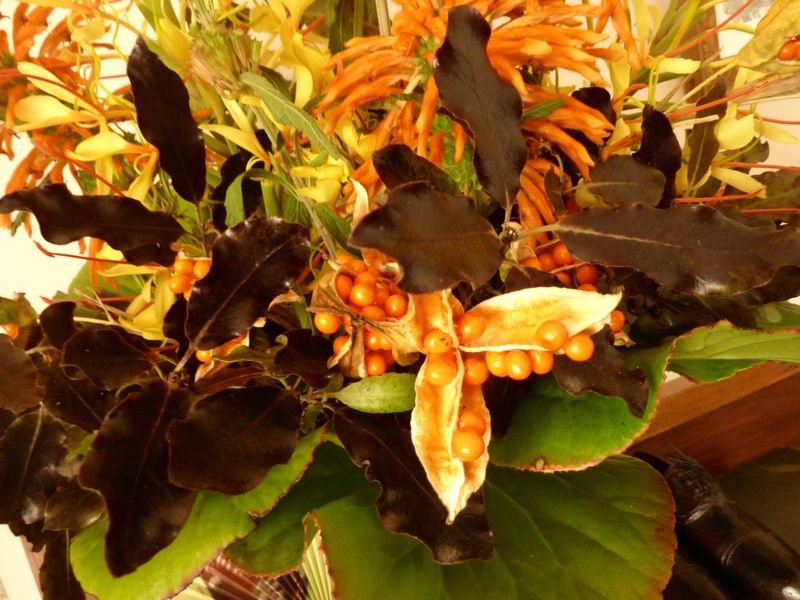 The dark chocolaty brown leaves are from a bush that perhaps someone can identify for me – I don’t think it’s a particularly attractive bush – but I must say it is very effective in a vase. When I was picking the lion’s tail I liked the stems with just the sculptural trio of green ‘balls’ as much as the ones with the burst of orange petals. In writing this post I discovered they are also referred to as ‘minaret flowers’ which is easy to see why. 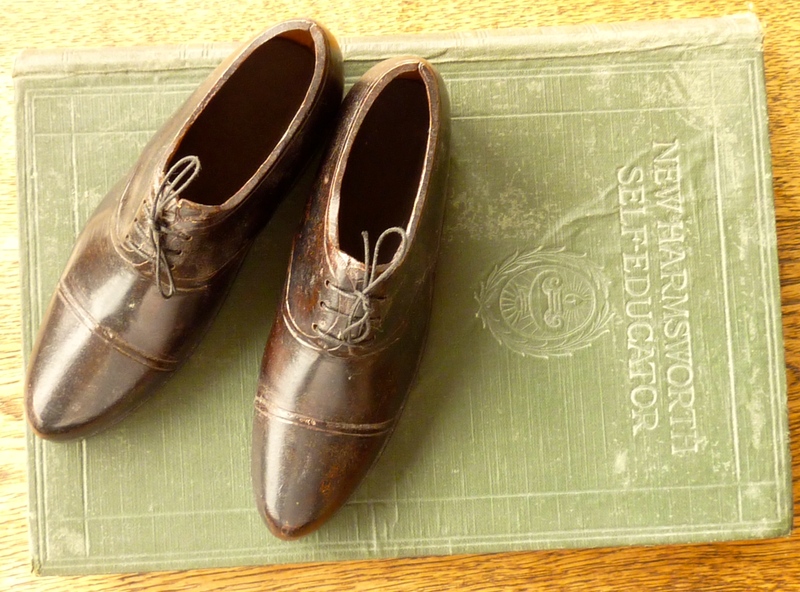 The still life was arranged on my lounge room mantelpiece and includes some of my vintage wooden cotton reels, the petite shoes bought on my last day in Paris and several volumes of the New Harmsworth Self-Educator that belonged to my grandfather. 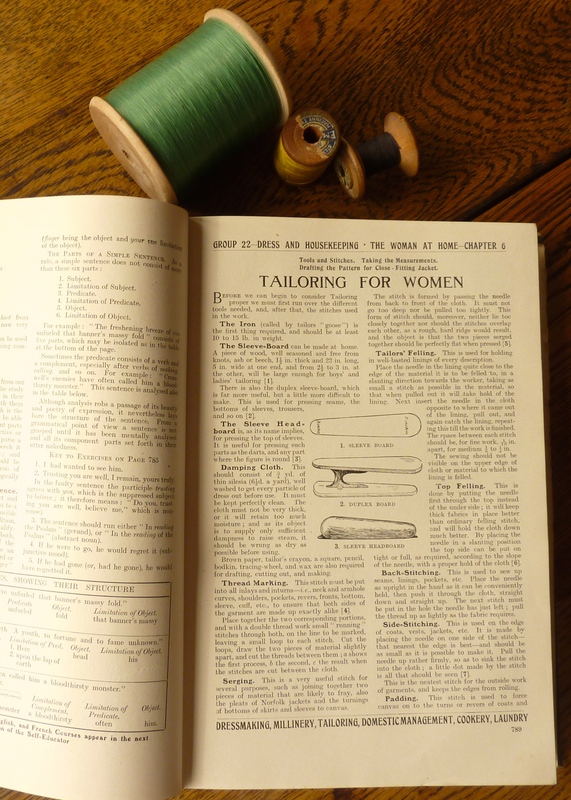 It was published circa 1913 and there are some interesting and eclectic topics. Since my blog is called Petal & Pins I found something with a ‘pin’ theme to share with you. ‘In A Vase On Monday’ was started by Cathy from Rambling In The Garden – take a look at hers and perhaps one Monday you might like to share yours! Great arrangement, looks rather exotic. I wondered if the brown leaves are from Pittosporum but think perhaps they are too large. I like the collection of pieces especially the little shoes, they look as good as new. Thanks Dorris and you could be right – maybe the pittosporum ‘Tom Thumb’ – the leaves are bigger than the common ones used for hedging. Wow, Sandra! That’s stunning! 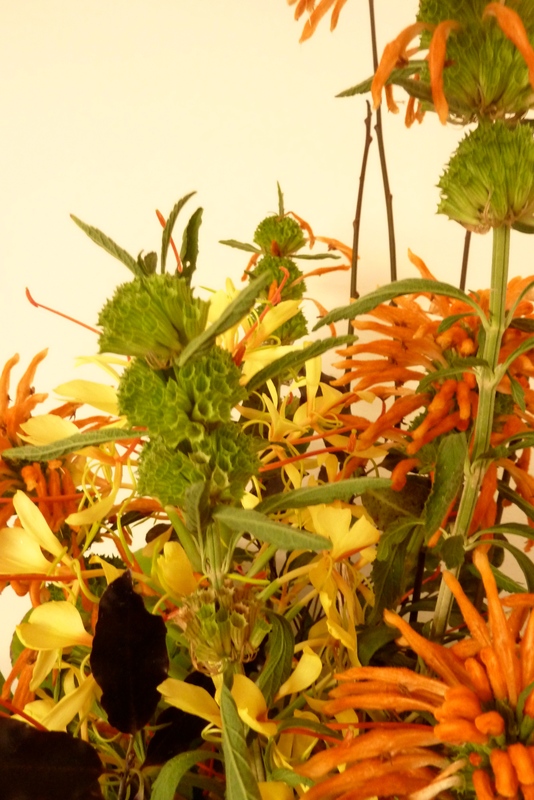 That Leonotis is an amazing looking flower, and what a beautiful shade of orange – using the green ‘balls’ was an inspired addition. I loved your props – this is the extra twist that makes the challenge even more enjoyable. 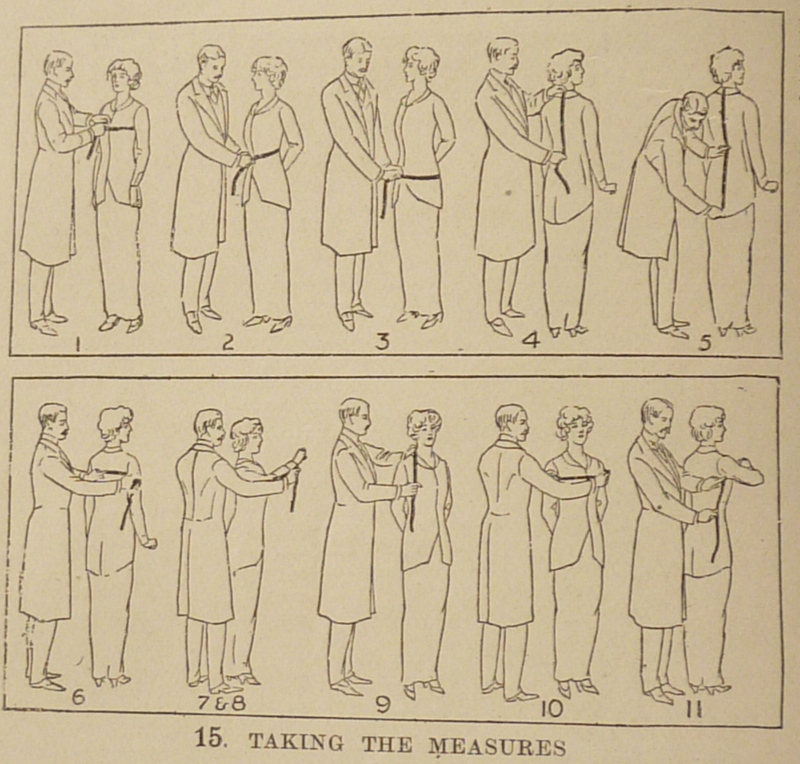 I need to show the Golfer the pictures for your books as I want him to measure me accurately for future dressmaking. By the way, for some reason your link from mine didn’t work, so I shall check it before I come out of your blog and modify it in your comment if necessary. Thanks so much for joining in.